The most important thing when planning your wedding, perhaps even more important than choosing your venue, is to determine your wedding's theme and color palette. Often the theme and palette are interchangeable as one derives the other, or they may simply be the same thing and that choice will help you determine the type of venue you want to select, the style of your dress and the dress of your bridal party and even what kinds of food you serve! It's not a decision to be taken lightly, but neither is it something that should stress you out. In fact, if you're looking to get married, you probably know what your palette is already - you just may not have realized it! 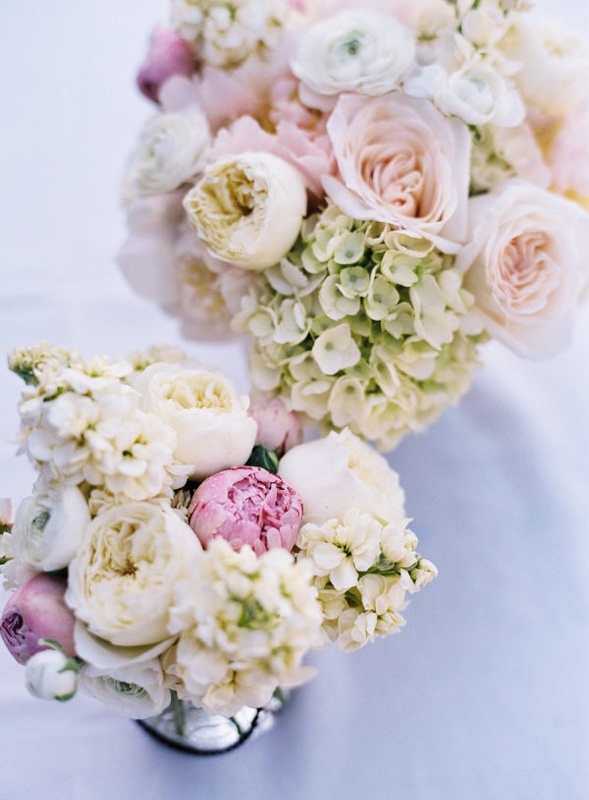 My wedding theme is a vintage-inspired Hawaiian tea party inspired by the colors of this peony bouquet. Peonies are one of my favourite flowers and I am fascinated by the variety and lushness of their blooms. Everything else, from the venue, to the decor, to the ambiance I want to create at my wedding stemmed from this. Spring weddings colors are my favourite. It's all about fresh greens and airy pastels. 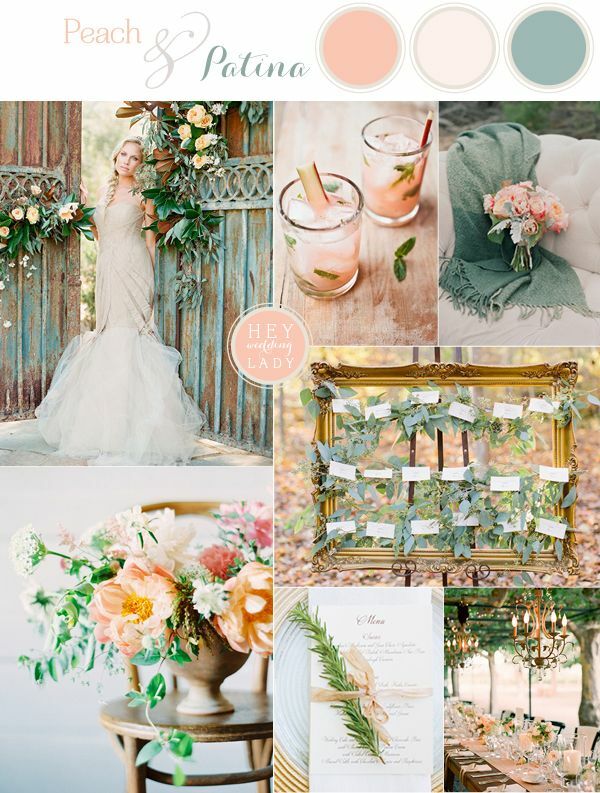 Spring palettes have an innocent romanticism about them that feels full of promise and isn't that what weddings should be all about? Summer weddings also can look quite similar to spring weddings, but the colors tend to be a bit more vibrant and have more of a late afternoon/sunset feel. 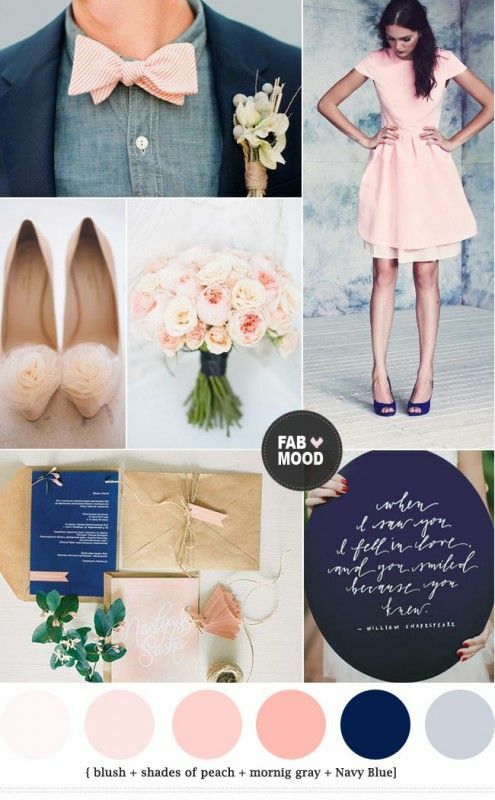 I love the casual feel of both these palettes, which are ideal for outdoor weddings or even a rustic little church ceremony! The air is crisper, the days are shorter and the colors become more muted. For a fall wedding, nothing looks more gorgeous than a moody color palette that evokes the mysteriousness of a misty morning. I love the idea of going for stronger jewel tones for the bridal party and grey is a great way to go more formal without the starkness of black. Last, but not least are winter weddings. This season is to me the time to go all out as people will already be purchasing formal wear for their holiday parties! Go for glitz, glamour and gold. Reds, cranberries and of course, marsala (Pantone's color of the year) are fantastic choices for a splashy accent color. It may seem cliche, but there's a reason why Christmas colors are red, green and gold! It just works. Which palette inspiration are you most drawn to? If you're married, what was yours?